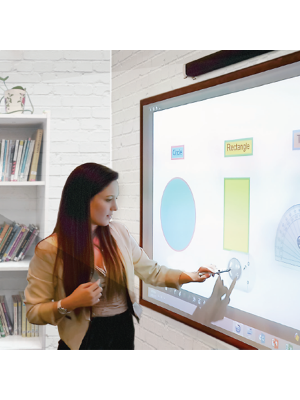 Smart Media World IWB-CCD02 Interactive Whiteboard is an exemplary educational product designed by the collaborative communication leader, Smart Media World. This fine product serves the purpose of transforming a classroom into a stimulating, attractive place for students. Smart Media World IWB-CCD02 boasts a huge 82" touchscreen panel equipped with state of the art touch sensing technology which detects two touches simultaneously. Since an interactive lesson is nothing without appealing visuals and audio, it comes with a life-like high resolution display and sound system. IWB-CCD02 Interactive Whiteboard gets its interactive capabilities from its amazing features and software support. The SmartMedia IWB software, compatible with all major OS, is a remarkable tool for teachers, providing them with an easy to use interface and all standard whiteboard functions. Annotations on media files, OCR, mathematical applications, and charting are just some of the facilities educators can benefit from. Moreover, IWB-CCD02 offers much more when it comes to connecting people. It not only supports a number of file formats so people can share media easily but also is able to create IWB CFF files that allow whole whiteboard screens to be shared with participants in real time, boosting the overall productivity of the learning process. 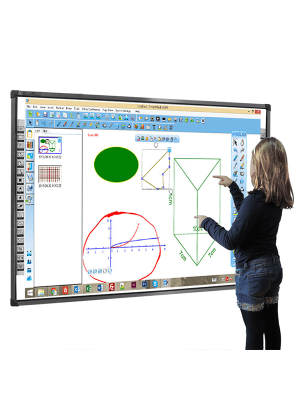 Smart Media World IWB-CCD02 Interactive Whiteboard is definitely a product worth buying. 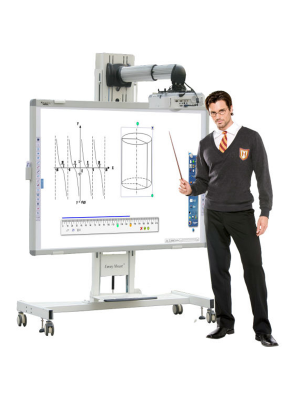 If excellence is a top priority with an educational institute, this interactive whiteboard is a prime choice owing to all its features. Q. The IWB-CCD02 interactive whiteboard is connected to the computer and drivers are installed, still the touch does not work? A. If this happens then first you need to wipe the inside area of the frame (the white, honeycomb reflective strips) with a wet fabric. If the touch still does not work then try changing the cable, change the USB port, or change PCs. Q. Do I have to adjust calibration every single time I start the program or computer? A. No. The system recognizes calibration settings and stores them. However, if you move the projector then may be you need to recalibrate. Q. 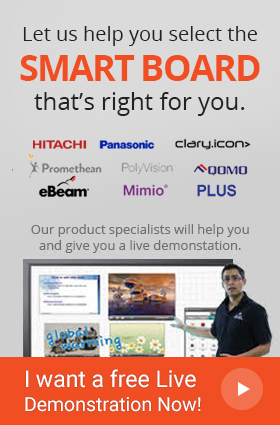 Where can I get the brochure for Smart Media World IWB-CCD02 interactive whiteboard? Q. Can I connect a USB drive with the Smart Media World IWB-CCD02 interactive whiteboard? A. Yes, you can connect the USB drive, there is a dedicated slot available in the IWB-CCD02 interactive whiteboard.